Panther Tires Happy Holiday Sale! 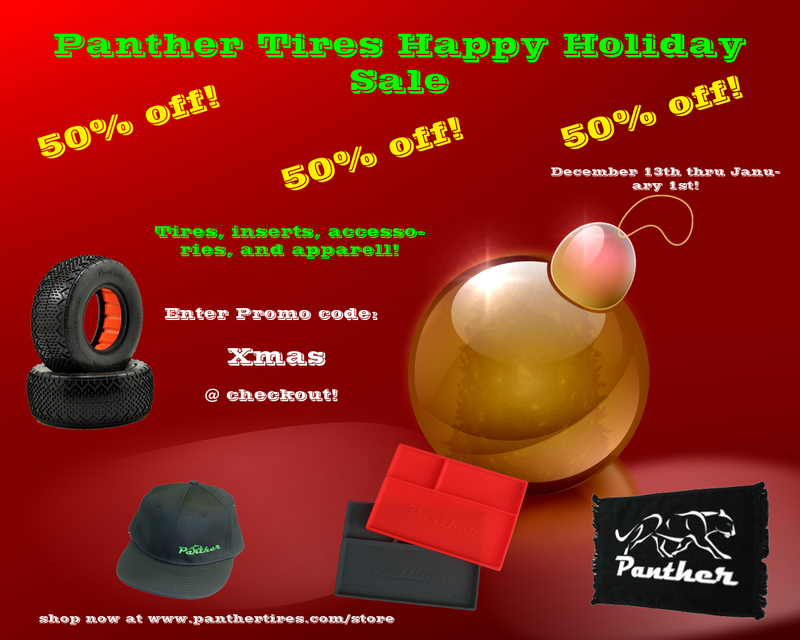 Starting December 13th through January 1st enjoy 50% off all Panther Tires products! Tires, inserts, bearings, accessories and more! Enter Promo code “Xmas” during checkout to apply the discount. This entry was posted on December 6, 2013. It was filed under Race News.